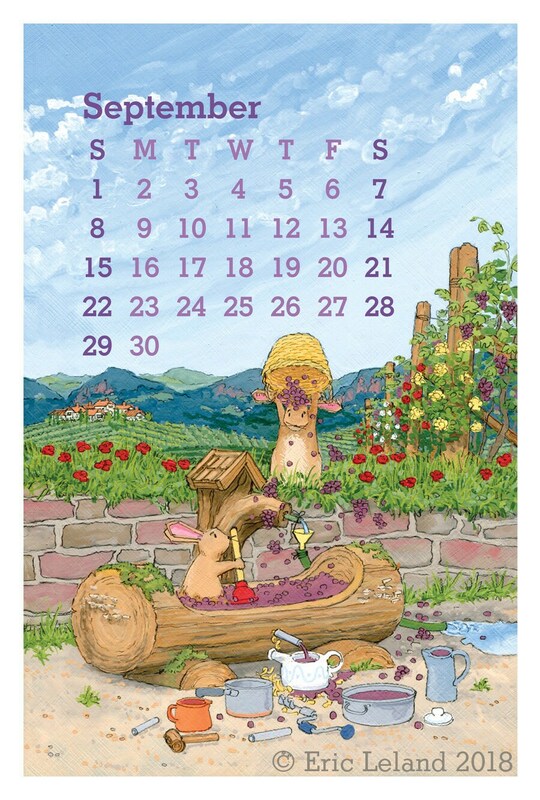 This a calendar for anyone who loves bunny rabbits, gardening, architecture, or travel. In fact, many of the illustrations are inspired by scenes recorded by my camera or sketchbook. And a large dose of my own imagination, to keep it lively! 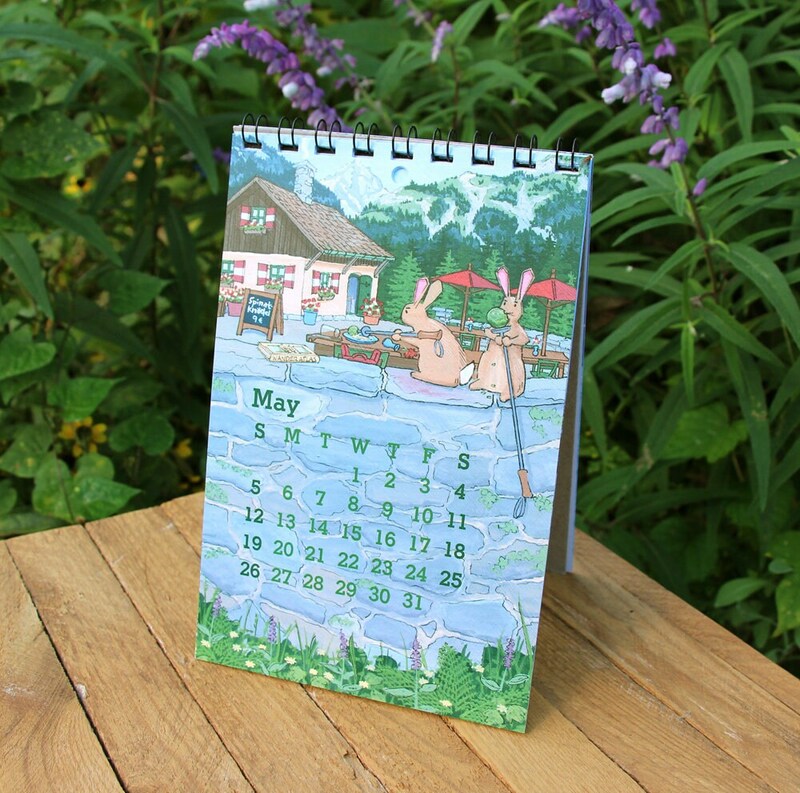 This calendar makes a great gift - why not buy one for your favorite bunny right now! Now the practical part: it's designed to work as a wall calendar or a desk calendar. 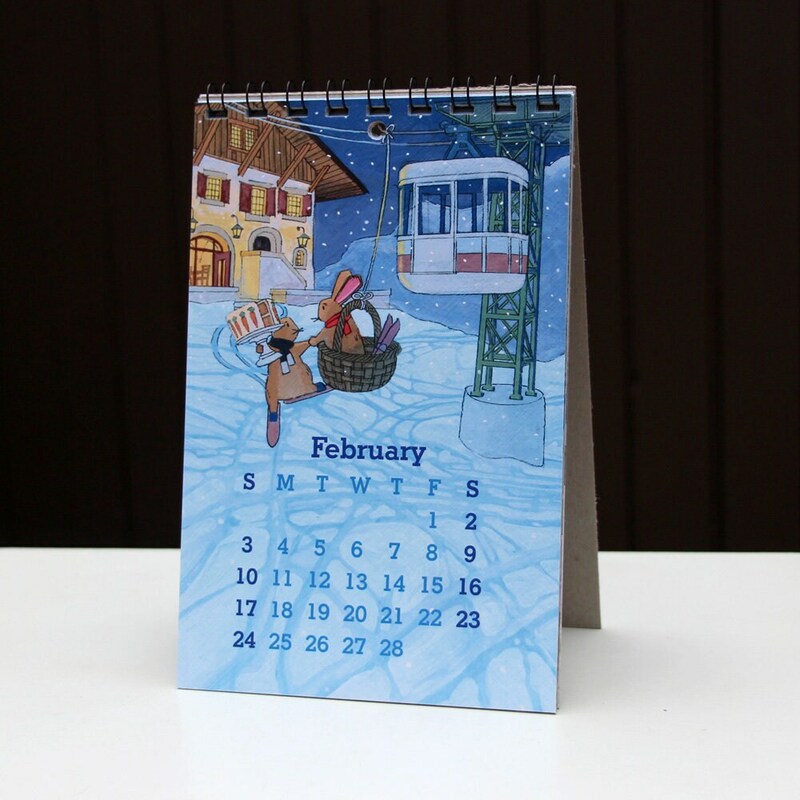 If you wish to use it as a desk calendar, you will find instructions between the two chipboard backers. The calendar measures approximately 5" wide by 8" tall and is wire bound. 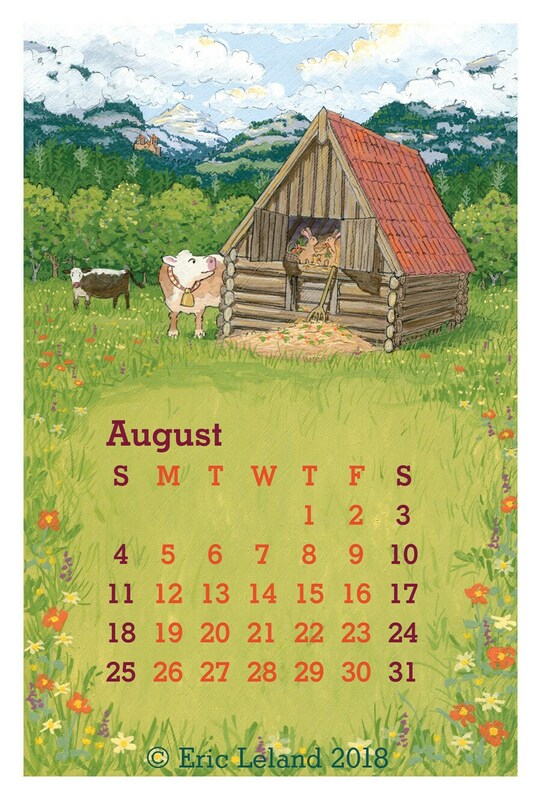 Each month features a reproduction of one of my original gouache paintings created just for this calendar. I print the pages digitally on extra sturdy card stock, then I trim and bind each calendar myself. Shipping will be via USPS First Class Mail. Thanks for looking, and be sure to see the other products available in my shop! 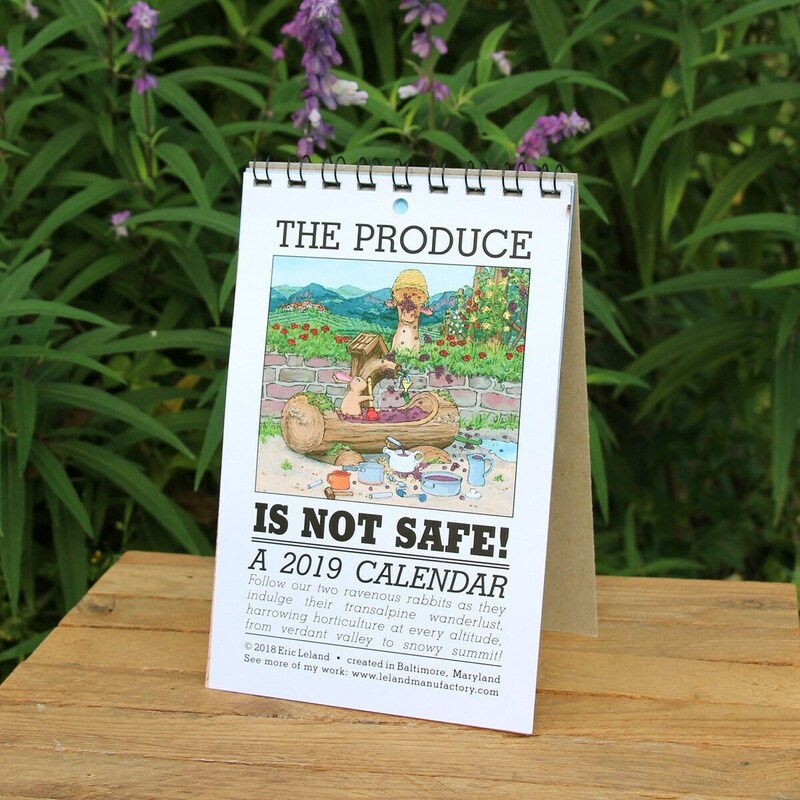 Please note that the copyright notice in the images above for August and September is not on the actual calendar, so it won't interfere with your bunny viewing pleasure. I do, however, retain copyright in the calendar and all the illustrations. I accept direct checkout for payment. Sales tax will be applied to all orders as required by Etsy and local laws. Rate increases have made it so that shipping a single card in a protective mailer now costs me over $2.50. However, the rates don't go up steeply from there. For orders of greeting cards within the United States, the first card will incur a shipping charge of $2.50, but additional cards in the same order will ship for no additional shipping fee. SO - it pays to buy more than one! I will ship your order within the time period specified on each listing. For most products, and for most of the year, this will be within three business days, but for certain items and at certain time periods (holidays and vacations) shipping may take longer - when extended shipping times are in effect, you'll see this noted on the shipping times with each listing. I ship my products in sturdy mailers via USPS first class mail, or via Priority mail for larger or more expensive items - see the individual listing for shipping options. Due to increasing costs and complications, I am sorry to say that I am no longer shipping items to addresses outside the United States and Canada. Any customs duties for Canadian orders are the responsibility of the buyer. I want every order to arrive in good shape in the mailbox of a happy customer, but I know that some times bad things happen in transit. If something has gone wrong, please let me know. In cases of loss or damage, I'll either grant a refund or dispatch a replacement depending on your wishes and what I have in stock. If items are damaged in shipping, I may ask you to return them to me at my expense so that I can see if I need to adjust my packaging. If - for reasons other than loss or damage in transit - you are not entirely satisfied with your order, contact me with your concerns. I may ask you to send the item back and then, once I receive it I will refund to you the amount of your original purchase, including the original shipping charge. For loss or damage in transit, see "Shipping Policy" above. Please also note - I retain copyright in all my creations. Copyright does not transfer with the sale of an individual item!